Mosquito adults are small, flying, midgelike insects. Female mosquitoes can be differentiated from similar insects by the presence of a long slender proboscis that is adapted for piercing skin and sucking blood, and long slender wings that are covered with small scales. Male mosquitoes have scale-covered wings, but their probosces, or beaks, are shorter and thicker than the females’, and are adapted for sucking plant juices and other sources of sugar rather than blood. In the immature stages, called larvae or wigglers, mosquitoes are usually black or dark brown and occur in nonmoving or nearly still water. Most mosquito larvae have a distinctive siphon or air tube at the rear of their bodies. The next stage is the pupal stage; pupae, called tumblers, are also aquatic and are small, roundish forms, usually black in color. Mosquito control is accomplished by searching out mosquito larvae in standing water and treating the water with a material that kills the larvae. Many materials currently in use are biological or physical in origin and are highly specific for mosquitoes, with little or no effect on other organisms. Mosquitoes found inside a building have entered from the outside in almost all cases. Therefore, barriers preventing access to the building are the first line of defense. Cracks around windows and doors where mosquitoes may enter should be sealed. Well-fitted screens will also limit their access to buildings. 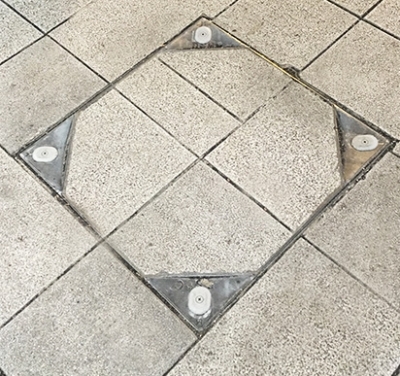 Standing water – Eliminate standing water and water leaks. Containers – Empty water. Store in an inverted position. Dispose – Cover so mosquitoes cannot lay eggs. Up to the present, we have found 70 kinds of mosquitoes in Hong Kong. The most common kinds are Aedes Albopictus, Anopheles Minimus, Anopheles Jeyporiensis, Culex Pipiens Quinquefasciatus, Aedes Togoi and Culex Tritaeniorhynchus. The life cycles of mosquitoes vary widely from species to species. Some female mosquitoes lay single eggs on water surfaces; others lay single eggs on moist soil where later flooding is likely. Still other species lay batches of eggs, called rafts, 100 or more at a time on water surfaces. Eggs deposited on water surfaces usually hatch within a day or so, but eggs laid on soil surfaces do not hatch until flooding occurs, which may be months or even years later. Larvae, which are nearly invisible to the naked eye, hatch from eggs. Larvae molt three times to become 4th-stage larvae. Several days later, this larval form molts again to become a pupa. Adult mosquitoes emerge from pupae 1 to 2 days after that, with male mosquitoes always emerging first. In summer the entire life cycle, from egg to adult, may be completed in a week or less. Female mosquitoes of nearly all species require blood from vertebrate animals to develop eggs, and many species bite people, pets, and livestock for this purpose. The most important consequence of this is the transmission of microorganisms that cause diseases. Zika virus infection is a mosquito-borne disease caused by Zika virus. The infection may associate with adverse pregnancy (microcephaly) and neurological and autoimmune complications such as Guillain-Barré syndrome (GBS). The World Health Organization has concluded that Zika virus infection during pregnancy is a cause of congenital brain abnormalities, including microcephaly, and that Zika virus is a trigger of GBS. Zika virus can be transmitted to humans through the bites of infected Aedes mosquitoes. 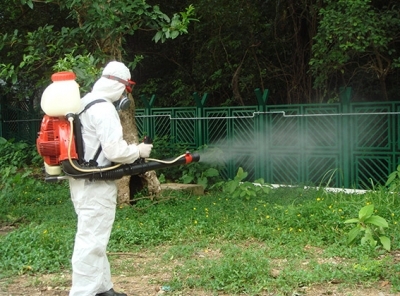 In Hong Kong, the local species such as Aedes albopictus can be considered as potential vectors. Dengue fever is an acute mosquito-borne infection caused by the dengue viruses. This is found in tropical and sub-tropical regions around the world. For instance, dengue fever is an endemic illness in many countries in South East Asia. The principal type of mosquito that transmits the disease is called Aedes. The dengue viruses encompass four different serotypes, each of which can lead to dengue fever and dengue hemorrhagic fever. What is Japanese encephalitis Japanese encephalitis is a mosquito-borne disease caused by the Japanese encephalitis virus. The virus is transmitted by the bite of infected mosquitoes . The principal type of mosquito that transmits the disease is called Culex Tritaeniorhynchus. The disease occurs mainly in the rural and agricultural areas of Asia and the Western Pacific Region. It is a rare disease in Hong Kong. There are less than 10 cases reported in the past ten years. Malaria is a serious and sometimes fatal disease caused by a group of malaria parasites, namely Plasmodium vivax, Plasmodium falciparum, Plasmodium ovale, and Plasmodium malariae. The principal type of mosquito that transmits the disease is called Anopheles. It is commonly found in many parts of tropical and sub-tropical areas where the climate is warm, like Africa, South-East Asia and South America. Please call for more details or visit Mosquito Control Products Page. AMF is a polydimethylsiloxane-based (PDMS or Silicone) formulation. It adds a thin silicone film on water bodies and constitutes a physical barrier to the reproductive capabilities of mosquitoes. 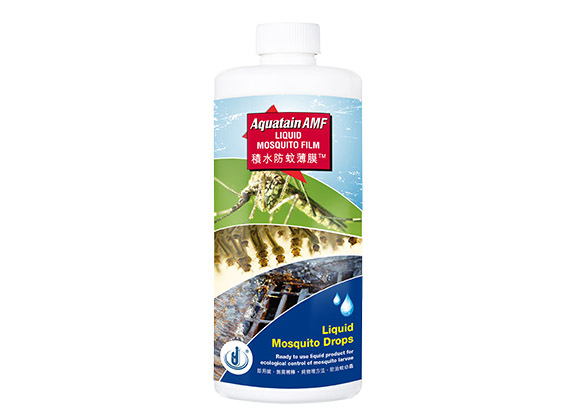 The low surface tension of the silicone film prevents mosquito larvae from breathing as well as female mosquitoes from depositing their eggs on the water surface, drowning many of them in the attempt. It is a simple Physical Action which does not rely on any toxic chemicals to be effective. 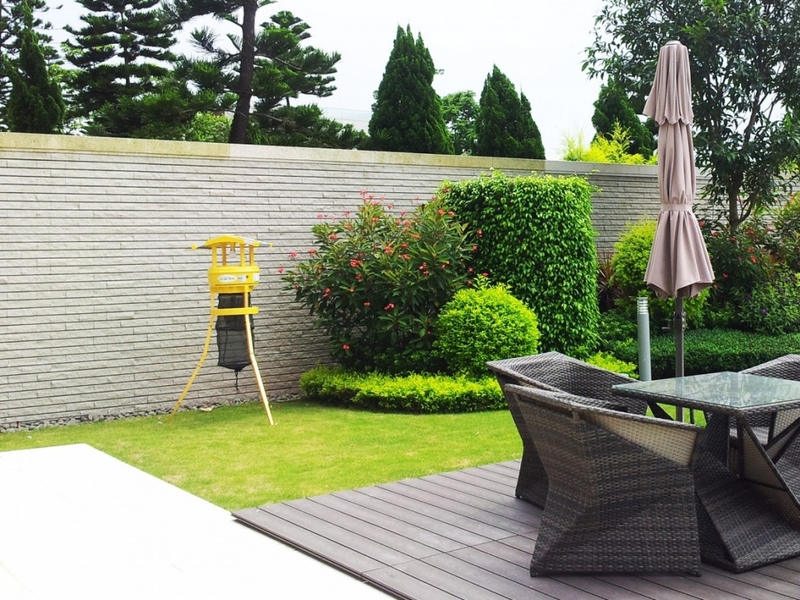 Silicone film is resilient to strong wind and wave action on open water, will spread quickly and completely around aquatic vegetation and will not build up on the downwind side of a water body. It is resistant to ultraviolet degradation and remains effective for around 30 days. This is Johnson Group’s efforts to educate kids about the benefits of using clean energy and encourage their interest in protecting environments. We believe a balanced ecosystem will benefit all living organisms, in particular, the human. When comparing the overall running costs of Solar Trap™ with other two LPG models for the first years, Solar Trap™ could save up to 60% of costs*. 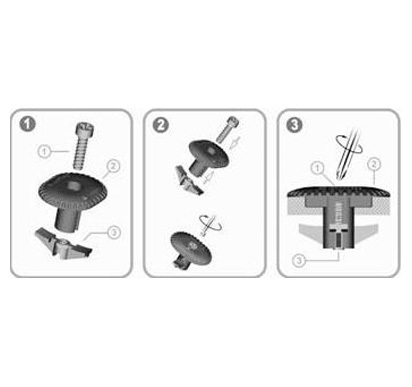 Solar Trap™ complies with CE TK-CC110095 standard. The device neither uses any chemical lure nor emits any toxic substance. Solar Trap™ is composed with safety design fan, unlike other existing products, it doesn’t have any danger from electrical shock, electrical short or fire. It is safe to place the device anywhere like schools, parks and playgrounds etc. With one full charge from one bright day, Solar Trap™ can be used up to 3 days (8 hours a day). Solar Trap™ has been equipped with the optical sensor system. It will automatically charge on day time, and activate while night time. 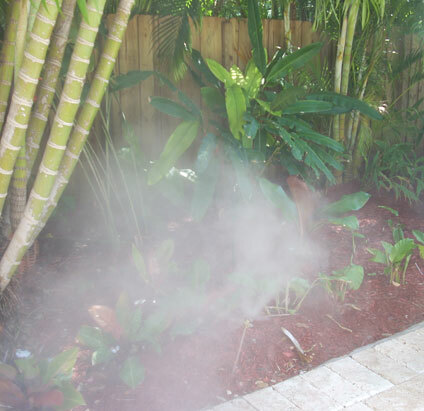 SafePRO® Mosquito Misting System provides an effective insect mist barrier along the perimeter (up to 500ft) of protected areas with immediate results. 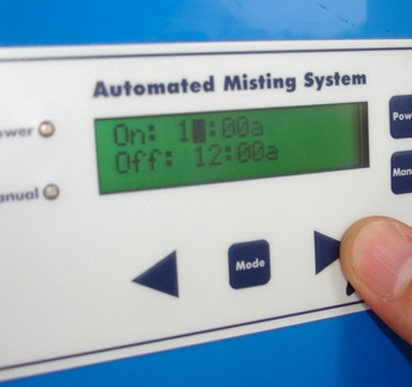 The automated misting system is computer controlled. You can preset your preference time and the system will then spray automatically at the precise rate and time. A mosquito-free zone is then created, so your kids can have fun and enjoy activities in the outdoors. 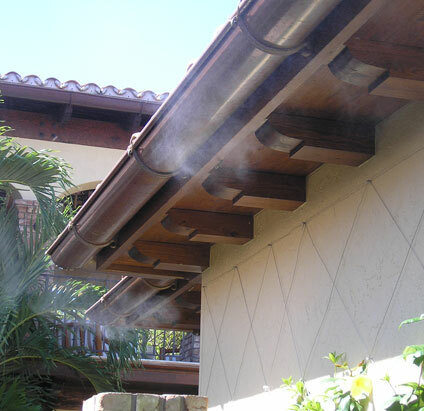 The misting system uses repellent which is an all-natural, formulation of essential oils like Geraniol and Cedarwood oil. Its gentle lemon scent provides a long-lasting deterrent to mosquitoes, midges and others biting insects i.e. mosquitoes, midges, flies, head lice, ants, bed bugs and gnats etc. The patent concentrated formula is diluted with water before misting. It’s a colorless, non-staining liquid that is safe to use around outdoor furniture. It contains no alcohol or toxic chemicals, is non-flammable, and biodegradable. Decore uses ultra violet “Black-light” tube to attract flying insects which are then traped onto the yellow attractant adhesive (sticky pad). Very effective in trapping and killing flying insect. Totally silent and non toxic. Starkeys® LURATRAP Cream uses ultra violet “Black-light” tube to attract flying insects which are then traped onto the yellow attractant adhesive (sticky pad). Very effective in trapping and killing flying insect. Totally silent and non toxic. Bali Style Lantern covers a larger outdoor areas. Unlike chemicals, insects can not become resistant to electrocution. Fully compliant with all required Australian and European certified safety standards. Starkeys® L25 covers a larger outdoor areas. Unlike chemicals, insects can not become resistant to electrocution. EzeePlug® has been registered under the law (Chapter 522) of HKSAR with registration no. 0801505.1. It is also patented in Republic of China with patented no. ZL 2008 2 0117033.4. 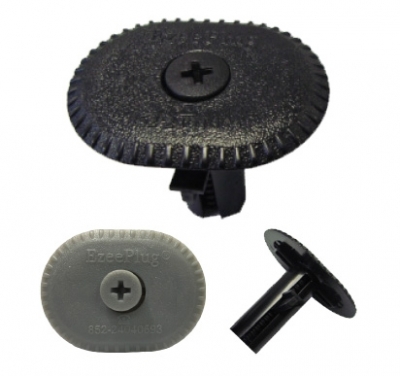 EzeePlug® comes with different sizes to fit the actual needs of each manhole cover. 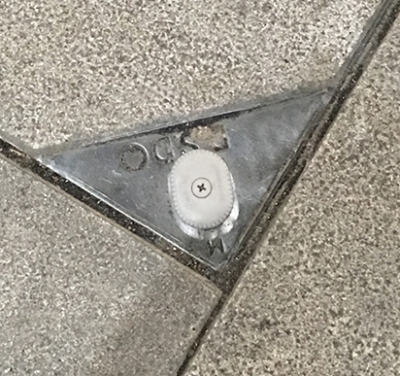 EzeePlug® can be used to plug up the keyhole on manhole cover. It is durable, easy to operate and reusable. EzeePlug® is safe to use in both outdoors and indoors. The plastic material can resist high temperature. EzeePlug® has also done through Impact Test(GB/T 1732-93) and Xenon-arc Exposure Test(ISO 4892-2:2006 & ISO 105-A02:1993) to make sure its durability. SmellGREEN® Natural Insect Repellent repels rapidly mosquitoes, fleas, louse & other blood sucking insects. SmellGREEN® solution is an all-natural, formulation of essential oils like Geraniol and Cedarwood oil. Its gentle lemon scent provides a long-lasting deterrent. 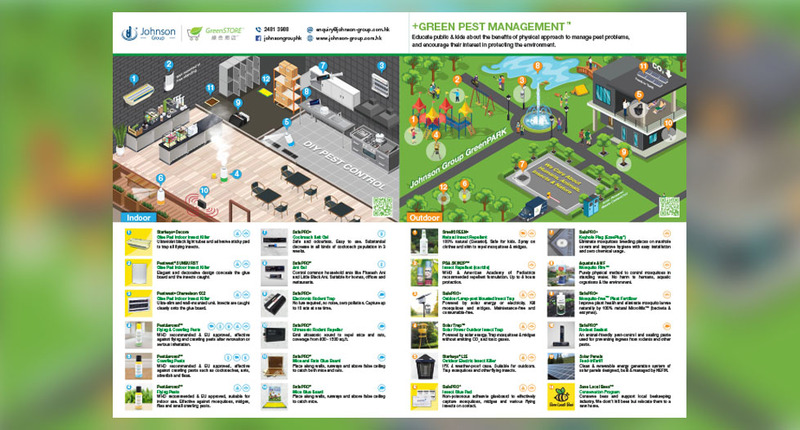 SmellGREEN® contains no alcohol or toxic chemicals, is non-flammable, and biodegradable. It’s a colorless, non-staining liquid spray that is safe to spray onto your clothings and skin while you’re doing some outdoor activities. SmellGREEN® is demonstrably safe for the intended use. 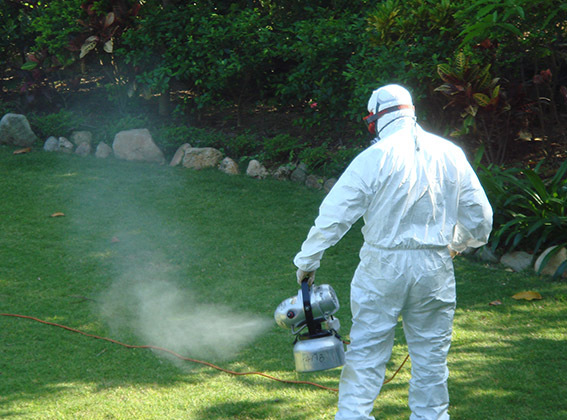 The active ingredient “Geraniol” has proven to be the most effective repellent of the over 4000 compounds tested by the University of Florida including citronella and DEET. 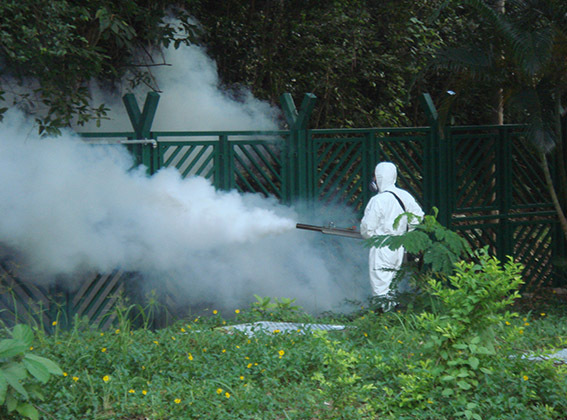 Chemical Treatments are particularly useful in dealing with large population of mosquito adults. Thermal fogging is a space treatment against flying adult. It can reach air spaces in areas obstructed by dense vegetation or other objects. When the flies come into contact with the droplets (usually in 5 – 30 micron), they will be killed immediately. Cold fogging is a space treatment against flying adult. Though It cannot reach air spaces in areas obstructed by dense vegetation or other objects, it is easily to control its distance and coverage, and is more suitable to apply in urban areas. When the flies come into contact with the droplets (usually in 5-30 micron), they will be killed immediately. It is a petroleum distillate, when applies directly to water bodies, it will form a thin film on the water surface and kill larvae and pupae by suffocation. The bacterium Bacillus thuringiensis subsp. israelensis (Bti) infects and kills mosquito larvae. It must be consumed by the larvae and acts as a stomach poison, damaging mid-gut cells of mosquito larvae. 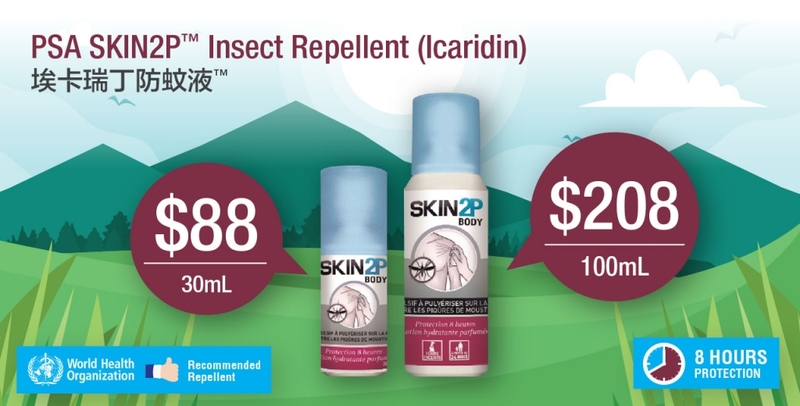 It is highly selective, killing only mosquitoes and larvae of a few other related flies. S-Methoprene inhibits the development of larvae. It is more effective in the late larval stage.